t*rexes and tiaras: Friday Favourites 280..
Oh, this week feels as though it's absolutely zoomed by in a flash. A little like the whole of the year seems to have, as we've now passed Midsummer's Day and therefore halfway through 2018. It makes me feel a little giddy, to be honest. In between chasing up things to do with moving house (why does this take so *long*?!) here are a couple of things which have taken my fancy in a recent browse online. 001: This cardigan is the kind of thing I look at sometimes and think I could emulate. But, since I don't seem to have time to breathe lately, let alone crack on with craft projects, I think perhaps it's better admitting defeat and purchasing. 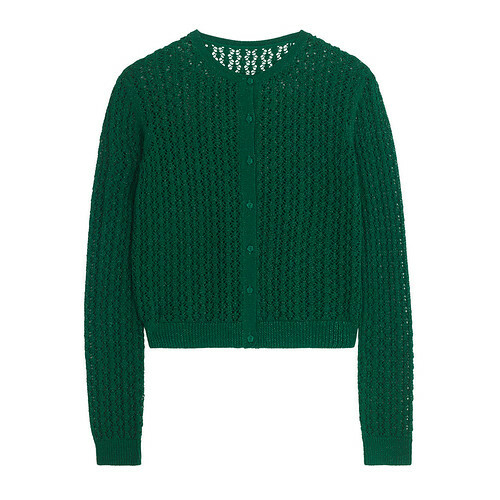 Bottle green is a lovely wardrobe staple for me, and the thread it metallic, so that's a winner in my book. 002: This skirt. I'm sure I've mentioned it before. 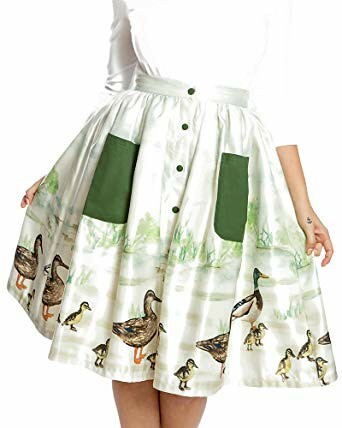 I don't know why but the combination of the buttons to the front, the vintage style pockets and the cute duckling border print, really appeal. What's catching your eye lately? Any sale bargains? I like both! Am failing on the not buying front!! Just don't seem to be able to avoid it!! I bought a Bernie Dexter dress, having tried on an XS in the shop and it fitting perfectly and the one I ordered online is an XS in a different size and I can't do it up which is deeply frustrating! A walk to Ironbridge and back..
Sunday Shoes 152: Shoely Not..